There are some perks to being a Stampin’ Up! Demonstrator that I don’t bark about. And today’s reason is because it’s not dog-friendly. For some people, it’s the discount on all their stamps, inks and paper crafting accessories. But for us, it’s the people that we meet – like you! And like other Stampin’ Up! Demonstrators over the years. Amanda and Ann have been exchanging cookies and chocolate for some time now. Amanda lives where there’s a fantastic chocolate that Ann likes. And we live in the land of Nutter Butter Cookies. So whenever they meet, there’s a little non-dog-friendly exchange going on. And Amanda always adds a card. Isn’t it awesome? It’s clean and simple. It’s fast and fabulous. And it even has a little bit of bling. 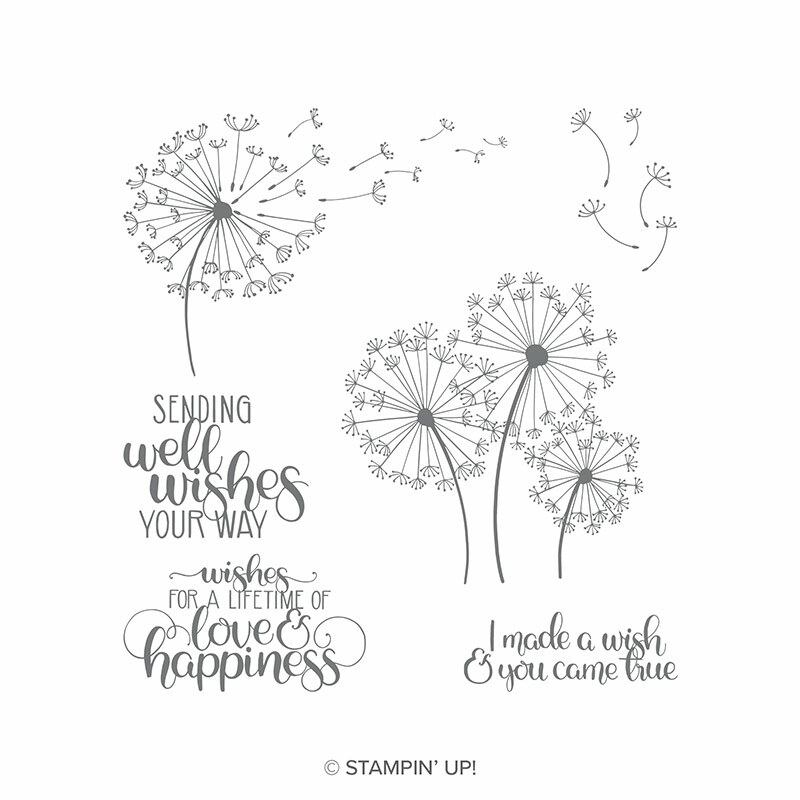 And what’s great is that we just got this stamp set, Dandelion Wishes! We just unpacked it before Ann left and we haven’t even mounted it! But we will now! Here they were last year trading their vices in Thailand with Stampin’ Up! I told you that they’ve been doing this for a while! So when you think about it, isn’t it time to join Ann so you can join the fun too? You don’t have to trade cookies and candy, but you will get a lot of cool new rubber stamping and paper crafting ideas. Grab your catalog and wish list. Pick out up to $125 of whatever you’d like. It really only takes a few minutes to join the fun!